Lash Extensions at Arxegoz Beauty are like non other. Get the best quality lashes at the most affordable prices. We’ve developed our lines of organic and natural products to complement other high end products. At Arxegoz Beauty, your lashes are in great care. Try our Sapphire or Onyx Memberships for extra savings each month. Lash Lifts are perfect for guest who choose natural lashes over lash extensions. Arxegoz Beauty has a top tier formula of lash lifts products that are gentle on the lashes to give a lift and curl that guests can enjoy for 6-8 weeks long. Try our Ruby or Sapphire Membership to save monthly. Dedicated to skin care and helping guests feel their best, Arxegoz Beauty’s specialty facials include Dermaplaning, Hydrafacials and Microneedling. Choose one any of our Membership options to enjoy a monthly specialty facial that saves you money over time. You deserve it. Our highly skilled and professionally training Microblading Artists have been in the beauty industry for years. Get top notch work done with long lasting pigment and the best brows to frame your eyes. Choose from microblading, nanoblades, ombre and microshading. Hesitant? It’s a common feeling. Come in for Henna Brows to get a feel of what Microblading could do for you. The soft tap method used by our Permanent Make Up artists make guests’ semi-permanent lash enhancement and eye liner experience a breeze. With top tier pigments, guests are able to enjoy quality work that lasts years on end. Enroll into our Flawless Membership to save on optional Yearly touch ups and lash services year around. Get glam and save nearly $100 each month with this lash extension and specialty facial package. Guests can’t go wrong with the added perks of being an Arxegoz Beauty Member. 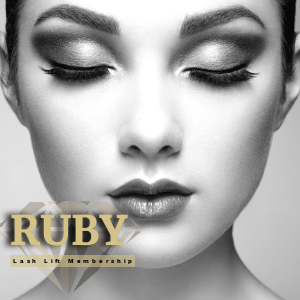 Ruby is the best option to have affordable monthly lash maintenance with our Lash Lift Services. It also gives members access to exclusive savings year ’round on facials, PMU and brow services. Perfect for those on a beauty budget. Designed for guests who have received Microblading or other semi-permanent make up services at our studio, Flawless PMU is the best way to save on optional yearly touch ups, and receive access to savings on all beauty services. Contact us by phone at 253-220-8692 or by email using the form below. Get exclusive offers by email.